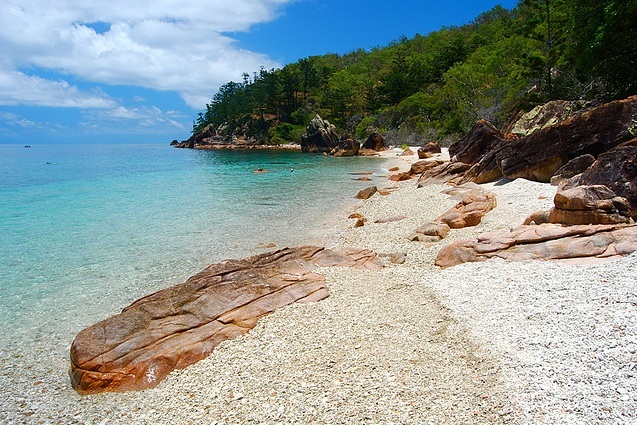 Our Top 10 favourite snorkelling spots in Queensland – in no particular order because they’re all awesome. Check out this little dude: so much beach, so little island. Awesomeness to the power of infinity. This place is super special. 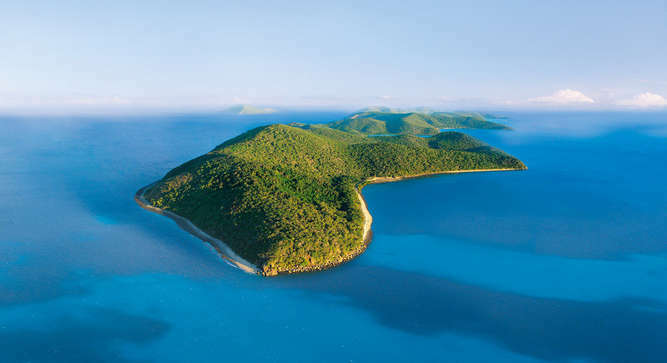 Just 45 minutes across the Coral Sea by fast catamaran from Cairns. Come see the giant clams squirting water at low tide! 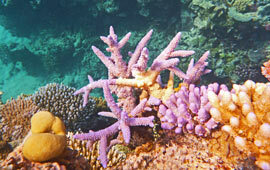 With spectacular coral reefs surrounding the picturesque Low Isles, this one’s a pearler. Literally an island paradise, which you can walk around in hour. Check out the turtle hatchlings. Go to Lady Elliot Island. 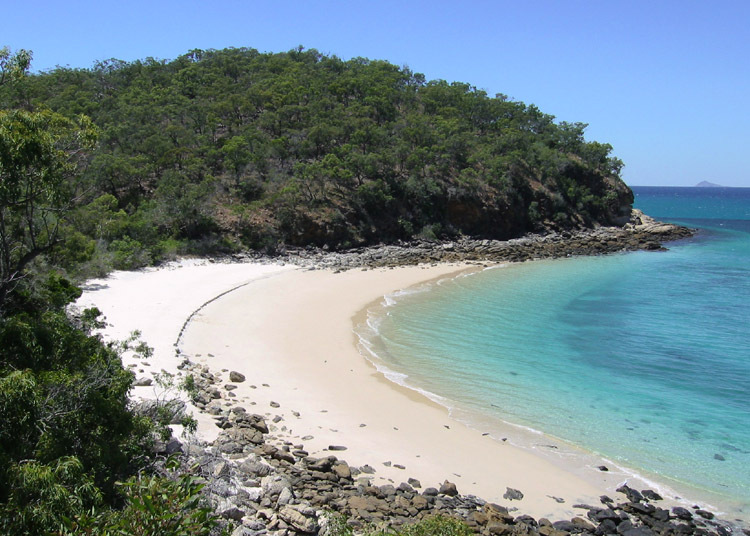 15 vessels were deliberately sunk on the landward side of Moreton Island to form a breakwall for small boats and a wreck dive and snorkel site. On the western tip of the island lies a hidden gem that’s worth exploring – Shelving Beach. 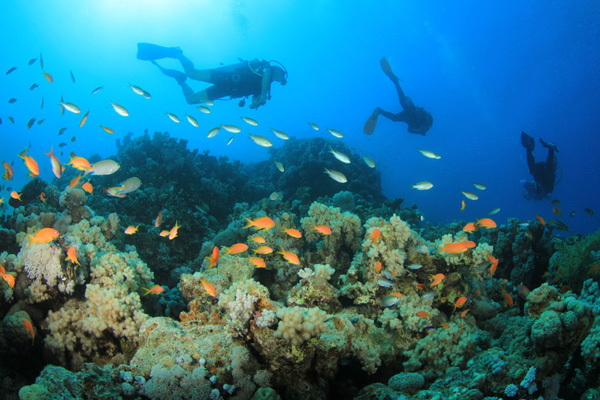 Go via Fisherman’s Beach nestled in between rocky outcrops and coral reefs and there’s always something to see among the colourful marine life that lives there. The Geoffrey Bay Trail offers a superb selection of fish to see around the Moltke wreck. Stronger swimmers can check out the WWII plane propeller and engine block from a CW-22B Curtiss Falcon for more adventure. 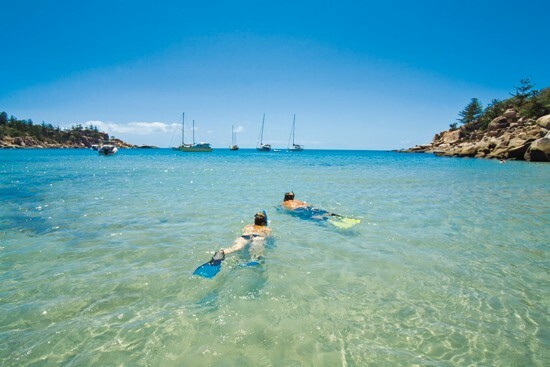 Follow the white surface floats that outline the trail and offer flotation for snorkelers to rest. You’ll also find white subsurface floats marked with letters. These letters relate to the Swim Cards which are available from local shops.